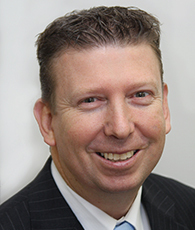 Mark, the Managing Director of the Sydney office, joined Wilde and Woollard in 1992. 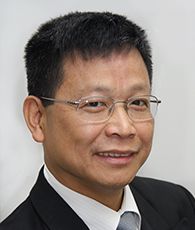 He is an experienced Cost Manager and also manages Sydney office's Asset and Facilities Business Unit. 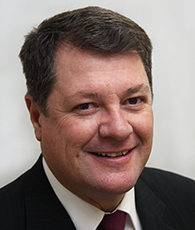 Mark has considerable experience on major projects from the feasibility stage until practical completion such as the Royal North Shore Hospital POEM project, the Sydney Adventist Hospital project and Cook and Phillip Park development. He has recently managed the University of NSW and the University of Western Sydney Strategic Maintenance Plans. Ian, a Senior Quantity Surveyor with over 23 years experience, joined Wilde and Woollard in 2005 and is employed as a Director in the Sydney office. He commenced his career in the construction industry in Western Australia as an estimator and contracts administrator for a major Perth building contractor. Ian then joined one of the major national practices opening their Cairns Office where he gained experience on many major projects including the Cairns Reef Casino / Hotel, Cairns International Airport Redevelopment and Townsville General Hospital. In 2001, he returned to NSW and joined a major international practice to manage their Sydney office. Ian has a strong background in estimating and cost planning, contract administration and cost management services. 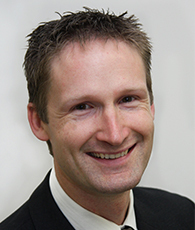 Nathan joined Wilde and Woollard in 1994 and is a Quantity Surveyor with over 15 years experience. He is responsible for the delivery of a variety of construction projects including hospitals, office towers, residential buildings, shopping centres, transport, defence, education and infrastructure developments. In recent times Nathan has cost managed projects ranging from pump stations and rail infrastructure, through to office developments, shopping centres and airport terminals. Nathan's attention to detail and practical approach to cost management has made him highly regarded by his clients. He is also our Taxation Manager and responsible for the management of our IT requirements. William is a Fellow Quantity Surveyor of the Australian Institute of Quantity Surveyors (FAIQS) with over 21 years of professional experience. William also worked in Thailand and Vietnam in 1994-1997. He joined Wilde and Woollard Sydney in 2001. In addition to his quantity surveying background, William holds a post graduate qualification in Project Management and is a member of the Institute of Project Management (MAIPM). He is also our Quality Assurance Manager, responsible for maintaining our Quality Assurance Management System within the office. William has extensive experience in all aspects of Cost Management, emphasis on estimating and cost planning as well as contract administration. 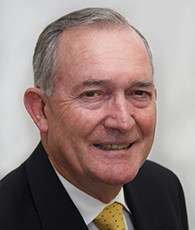 William has enjoyed a wide range of experience in cost management of commercial, hotels, hospitals, residential, retail, tertiary education facilities and extensive infrastructure, landscaping and civil works projects. Jim, who has a real estate and property valuation background, has held Senior Management positions in Development Consultancy, Development Management, Business Development and Marketing Management for over 30 years. He has worked with some of the leading developers, dealing in all facets of the property industry including commercial offices, retail centres, industrial estates, business parks, residential and aged care. Areas that Jim assists our Clients with are site identification, market research, feasibility assessment, purchase negotiations, project planning, achieving authority development approvals and leasing negotiations.